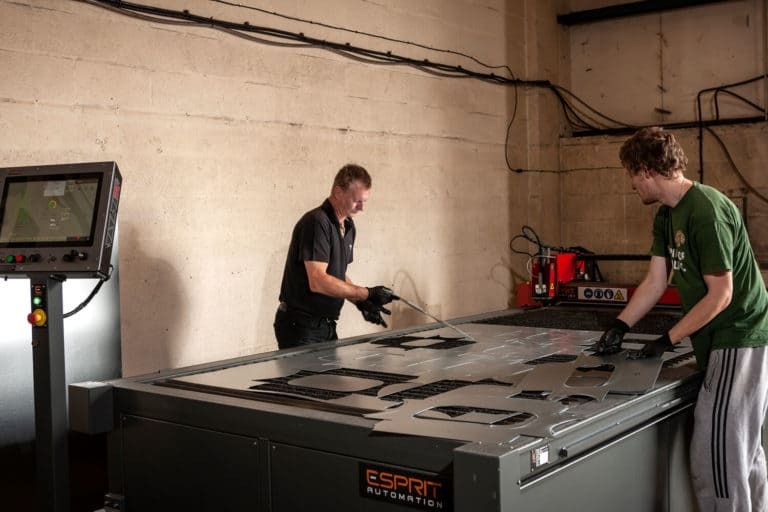 For more than 20 years, the Esprit Arrow Plasma Cutting Machine has delivered outstanding and reliable performance in the HVAC, dust extraction and insulation industry. The Arrow enabled hundreds of businesses to improve their productivity and is now installed in more than 20 countries worldwide. Combined with the CAM duct fabrication software, the Arrow in an unbeatable combination. It has enabled hundreds of businesses to improve their productivity and is now installed in more than 20 countries worldwide. 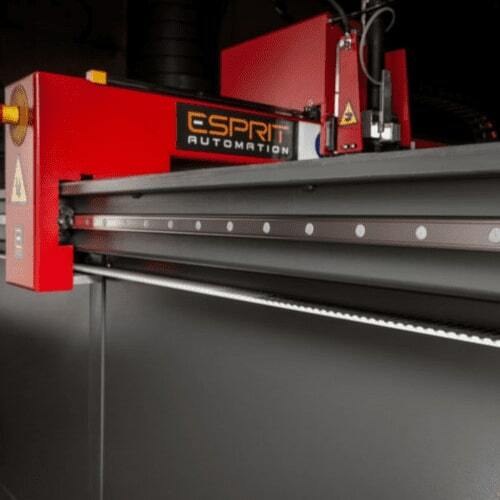 The Esprit Arrow plasma cutting machine combines the latest in machine and plasma cutting technology in a complete package. 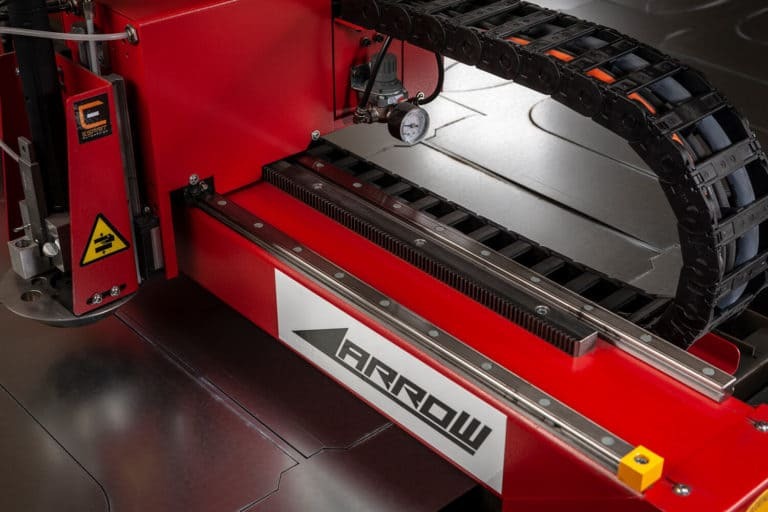 The Arrow offers the best price/performance ratio in its class and gives even the smallest workshops access to the latest CNC plasma cutting technology. The Arrow is a compact HVAC duct cutting machine with a cutting area of 3 m x 1.5 m and is designed and engineered to the same high standard as all other Esprit machines. The Arrow can handle all standard sheet sizes and is the clear choice for HVAC ductwork, general sheet metalwork and, light fabrication applications. Metal sheets are never perfectly flat, especially thin sheets used in the HVAC industry. Therefore we specially designed the plate rider of the Arrow to solve this problem. Fast X-axis and Y-axis movements, a high-speed height control system, and a rapid torch descent/lift system will give you the increased productivity you seek. Moreover, a powerful AC brushless drive system, forged steel linear bearings, and dual drive motor allow the Arrow cutting machine to deliver highly dynamic precision and smooth motion to achieve the best plasma cutting quality. 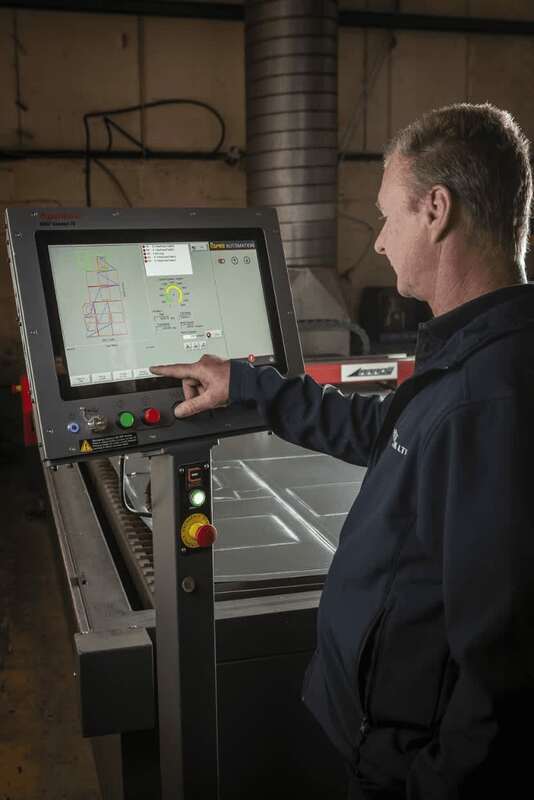 If you want to learn more about why customers from all over the world use the Esprit Arrow for their sheet metal cutting applications, give us a call or fill out the contact form. You are also very welcome to visit our facilities in Nottingham for a live demo. Every detail of the Arrow has been carefully thought out and designed to the highest standard. The highly robust & compact design makes the machine capable of exploiting the full potential of sheet metal plasma cutting for ductwork. The Arrow produces accurate parts which can be rapidly folded into fittings. The machine is also compatible with a decoiler and plasma feeder to boost your productivity even more. A double row of forged steel linear bearings and a direct rack & pinion drive provide precision guidance and smooth motion. 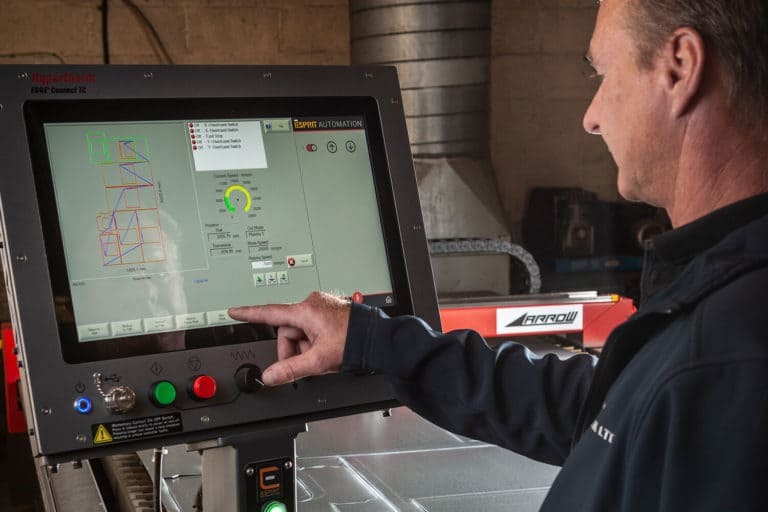 Key elements for a state-of-the-art CNC plasma duct cutting machine. For long-term reliability and operator safety, the large cables and hoses are wrapped in a robust sheath. The X-axis sheath is inserted inside the machine for extra protection. Standard Pen Marker on the Arrow makes it extremely easy to identify every part. 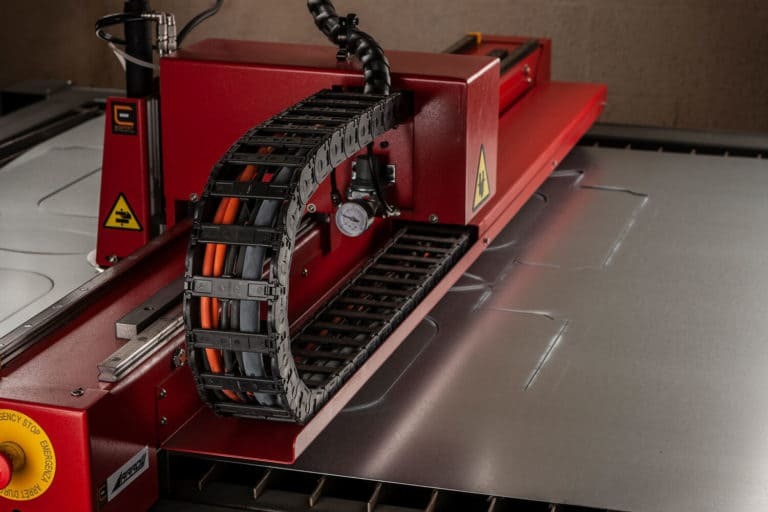 With their remarkable flexibility and productivity, Hypertherm Powermax Plasma Cutting Machines are the perfect match with the Arrow CNC plasma duct cutting Machine. 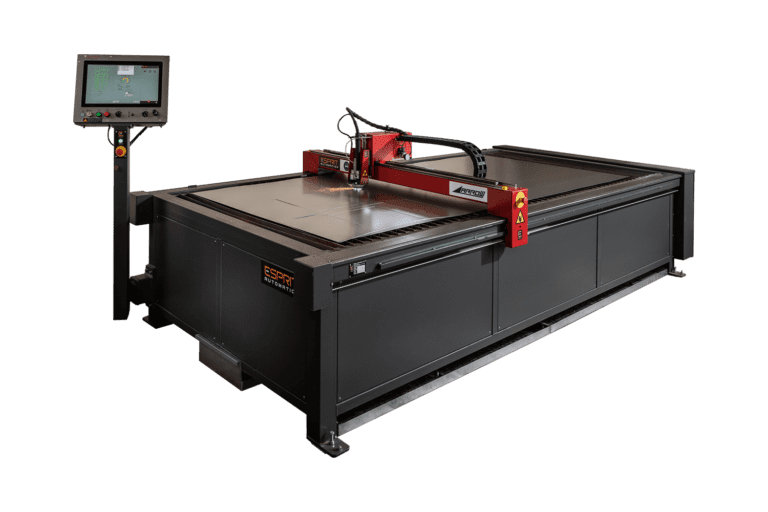 These robust and cost-effective air plasma cutting systems can cut galvanized steel with a thickness of 1 mm at a speed greater than 8 meters a minute. The Esprit Arrow CNC duct cutting machine can be specified with CAMduct, the world-leading ductwork software from Autodesk. With a vast library of duct fittings, advanced nesting solutions, and cost-saving tools, CAMduct is the leading software for duct fabrication and the clear choice for HVAC companies and light fabrication applications. Esprit holds the largest stocks of genuine Hypertherm plasma consumables and spare parts in the UK. Available ex-stock from our Nottingham facility we offer competitive pricing and superb service. We will have your Hypertherm Powermax XD consumables dispatched the same day via a range of delivery services for orders received before 2.30pm. CONTACT US For all your HVAC DUCT CUTTING needs.